When it became evident that waste and incineration issues were not getting the attention of the four main political parties in the campaign leading to the October 6th provincial election, the Ontario Zero Waste Coalition (OZWC) sent a letter that was co-signed by Prevent Cancer Now and a number of groups across Ontario. 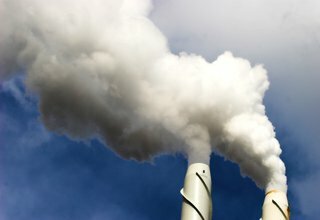 An attachment to the September 28 OZWC letter calls for a review of the Durham-York incinerator approvals and calls for an independent review of the health risk assessment for PM 2.5 emissions (particulate matter less than 2.5 microns), where adverse health effects can be observed at any level of exposure. The Association of Municipalities in Ontario (AMO) recently took out full page ads to draw the attention of all parties to the need for product stewardship programs in Ontario. The flip side of the ad targeted citizens, to encourage them to keep sorting their waste and recycle properly. To learn more about AMO’s waste initiatives, visit here. Municipalities make many decisions around managing waste within their jurisdictions that affect the health, finances and quality of life of their residents. With the Province having approved Metro Vancouver’s Solid Waste Plan last July, which includes incineration as a disposal option, citizens now have an opportunity to hold politicians’ “feet to the fire” and support candidates who oppose incineration and advocate for sustainable alternatives. We urge B.C. residents to become involved in the election and to contact Zero Waste BC, an information network of citizens and organizations, for details about initiatives they will be planning in the lead up to election day in November. Over the years, Plasco has made a lot of claims about their technology and its performance at their demonstration plant in Ottawa where low volumes of municipal waste from the Ottawa area were processed. Monthly engineering reports showed that Plasco was not processing anywhere close to permitted waste volumes and that they recorded emissions violations during that period. Their final report summarizes the plant performance over the three year demonstration period. Plasco now seeks approvals for a permanent commercial demonstration plant and permission to process additional types of waste including Industrial, Commercial and Institutional (ICI) waste. They have prepared an Environmental Screening Report (ESR) as part of the Environmental Assessment (EA) Screening process as they require approval from the Ontario Ministry of the Environment. Follow the links to view the comments and elevation request we submitted to the Ministry of Environment (MoE) and Plasco, and the response from MoE and Plasco (to which we responded back). Citizens observing the July 26th, Durham Region Council meetng were incredulous when Council voted to adopt the “Co-owners Agreement” with York Region, which includes a clause that would require York Region to pay only for legally required plant upgrades and/or monitoring or testing. York Region is minority partner owning 21.4% in the incinerator located in Durham Region, therefore York residents are not likely to be directly impacted by incinerator emissions. If in future Durham sought to improve environmental performance of the incinerator, they would be responsible for the entire cost. This agreement also gave Durham and York staff the authority to issue the “Notice to Proceed to construction” to Covanta Energy, the design/build/operate contractor (DBO). On August 17th, Durham Region held a “by invitation only” groundbreaking ceremony to which only “dignitaries” were invited. The Region refused to disclose the cost of this event when local media requested that information. The public, i.e. the “owners” of the incinerator were shut out. Around a hundred protesters marched to the incinerator site where they were blocked by a line of police officers who had closed public roads so the Regions and their guests could celebrate undisturbed. View the PowerPoint. Just days before the groundbreaking, it emerged that Covanta had recently reached a settlement arising from emissions violations at the incinerator they operated in Wallingford, Connecticut. Emissions of dioxins and furans, known carcinogens, had been sufficiently serious to shut down the plant for an extended period. A recent news article reported that Covanta is looking for a new general contractor. Aecon had been part of the Covanta team when they submitted their bid. This is a curious turn of events as the Regions’ project team staff had advised Durham Council it was most important that incinerator construction begin this fall. To date, no Site Plan Approvals have been issued by the host community nor has a building permit application been filed. We learned recently that Elementa and Fernlea Green Energy are proposing a “steam reformation” project in Delhi, Ontario. Elementa has a pilot project in Sault Ste. Marie. York Region continues their partnership with Dongara to process a portion of York Region’s waste into pellets. Some pellets may be used as fuel in Ontario greenhouses. A recent article described the Screening Level Environmental Assessment process that is underway for the Remasco project in Kingsville. The project description can be found here. The Toronto article reports there have been problems with equipment and emissions exceeding allowable levels. The article states the Environmental Screening Report may be submitted to the Ministry of the Environment this fall. Citizens are urged to closely monitor this project and related consultation opportunities and make their concerns known to their municipal councils as well as the project proponents and the Ministry of the Environment.